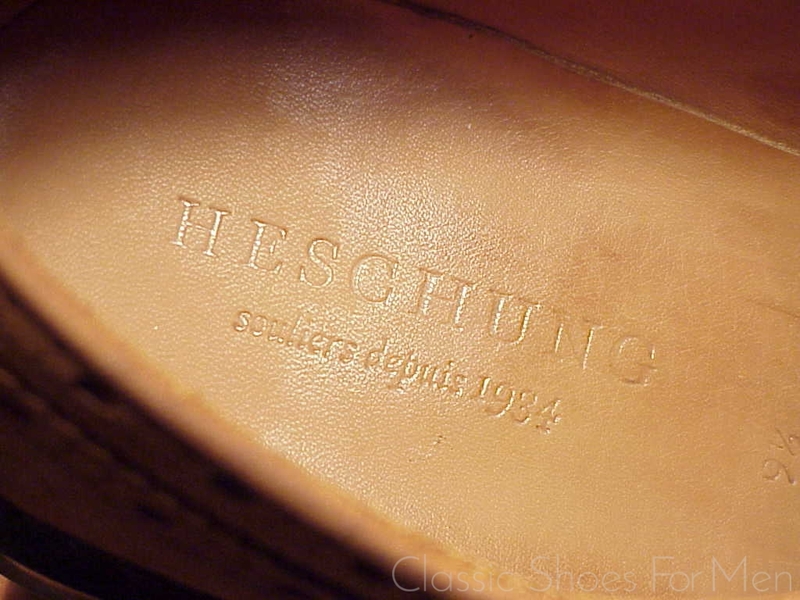 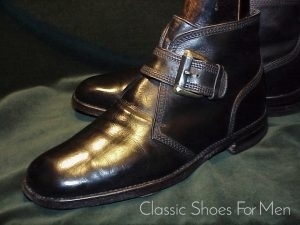 Heschung is one of the few French firms of quality to continue to produce or offer ready-to-wear shoes made in France. 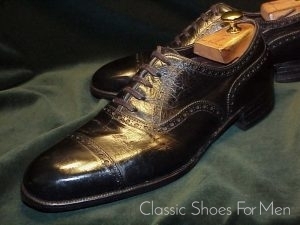 The others are Charvet, Weston, Corthay, Fenestrier, Vaneau but, against conventional wisdom, not Aubercy or Berluti.) 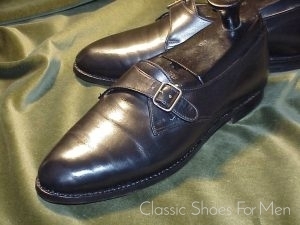 The present shoe, no longer offered by Heschung, is a robust, finely made, all weather, all terrain, masterwork which features true double sewn Norwegian (Goiser) welting as well as a 360 degree Storm Welt. 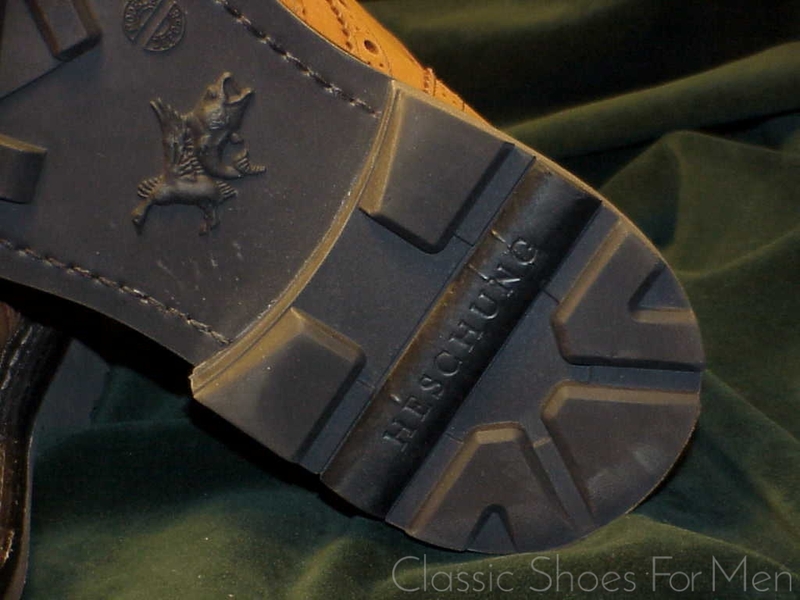 The Goiser constructions sets this handsome shoe apart from Heschung’s more commonly seen production and not to be compared to the lesser offerings on-line by myriad resellers. 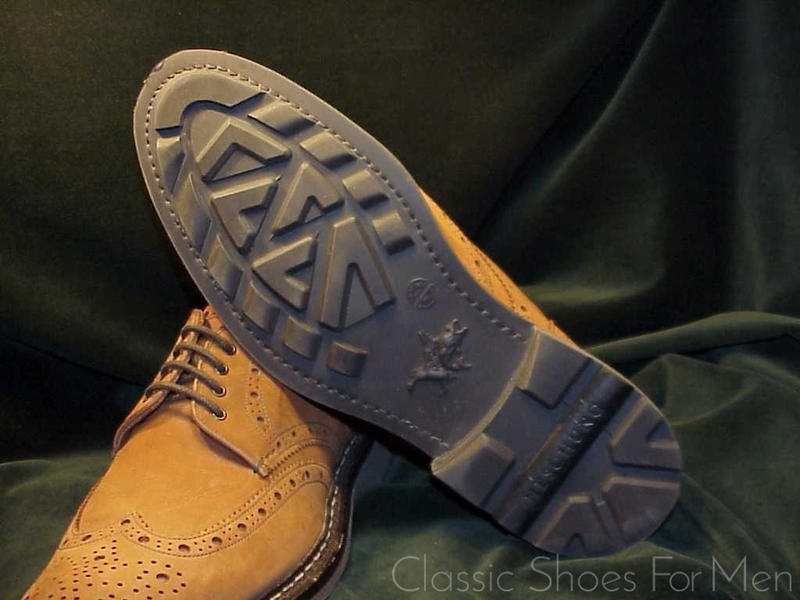 This type of construction is derived from traditional hand sewn mountain and sky boots and promises comfort even in long periods of use. 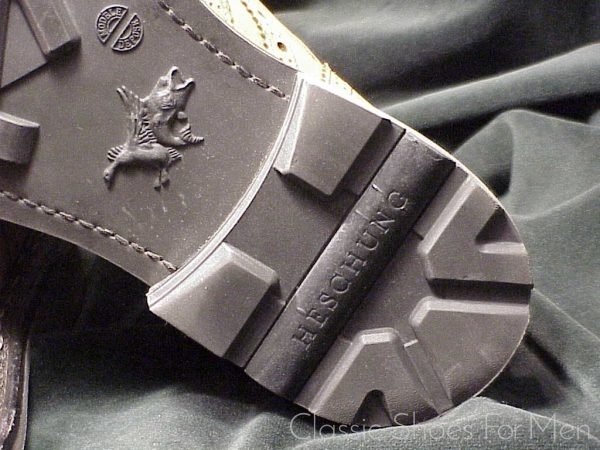 Heschung’s proprietary full rubber sole is Goodyear welted but the Storm Welt is hand sewn. This is in reality a boot masquerading as a shoe with a sole and heel that offer full functionality on paved or unpaved surface. 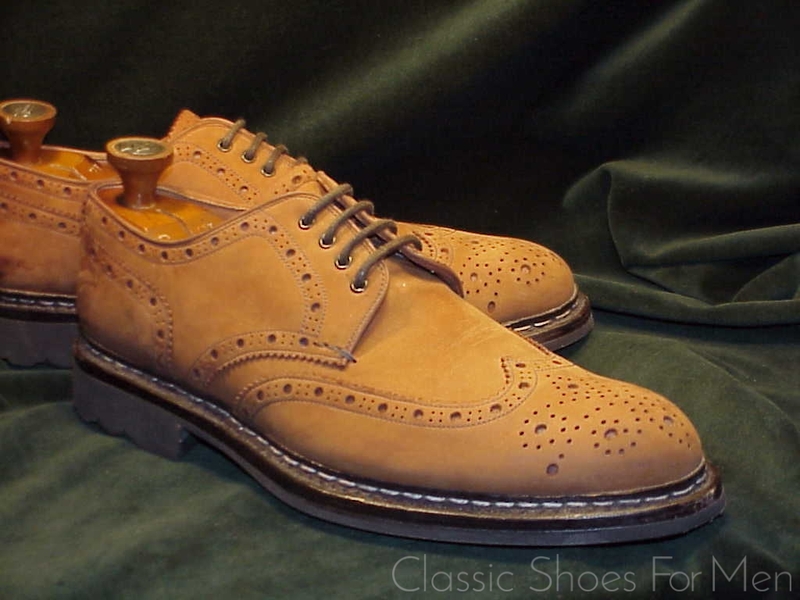 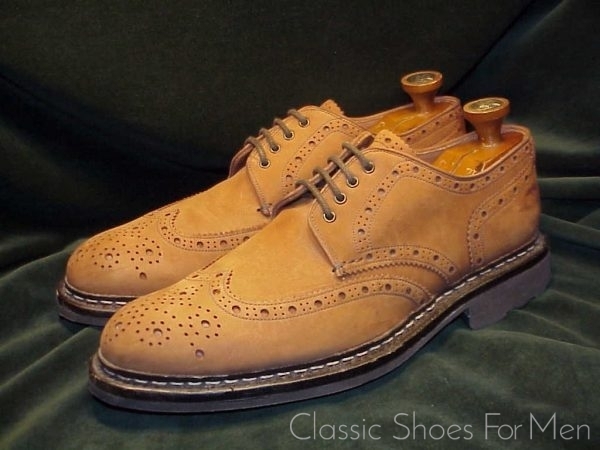 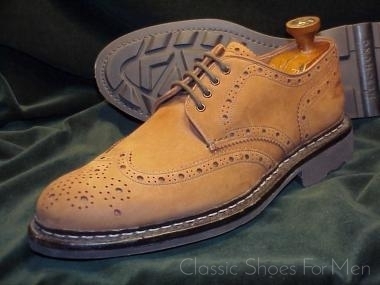 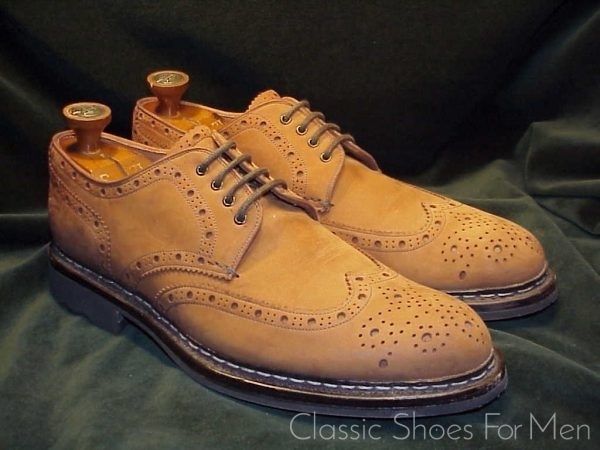 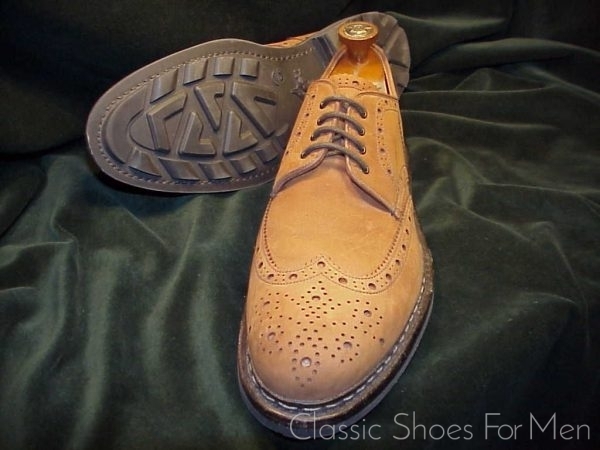 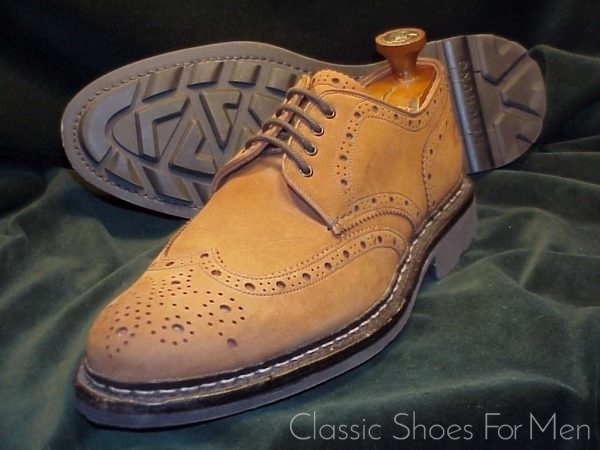 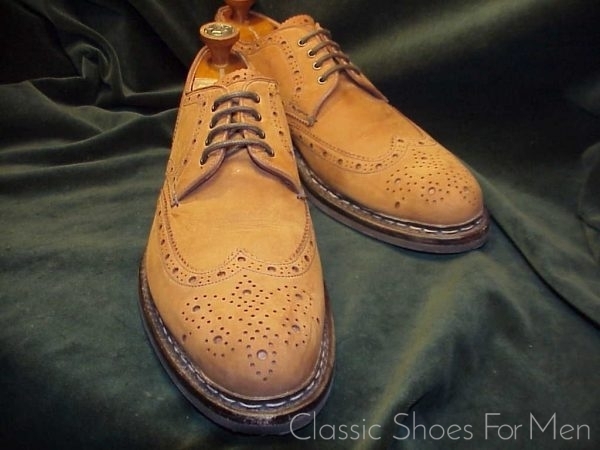 Of course the Norwegian construction affords maximum protection against, rain, slush or snow but this is also a wonderfully practical fair weather brogue for town or country. Colour: These are middle brown, somewhat darker than they appear in the pictures. European 44D…..US 10.5D…..UK 9.5E, for the medium width foot. 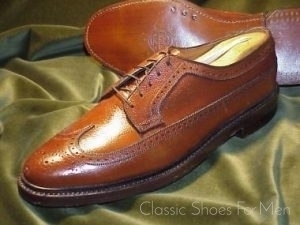 To find an example in the new condition of this pair is indeed fortunate.